Google Maps was recently promoted to v9.45 in the beta channel. 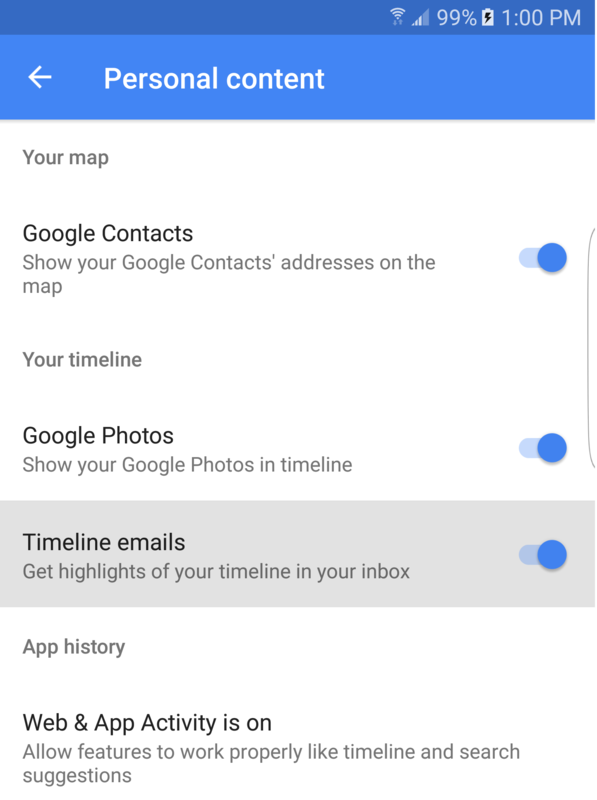 This update includes a partially redesigned arrival card when users reach their destinations and introduces a feature where Google will send emails with highlights from your timeline. Turning to the teardown, it's clear that Google will soon allow users to share their custom lists with others. As usual, there's a download link at the bottom of the post, but since the v9.45.1 update came out shortly after the .0 release, both versions are linked. Left: Previous versions. Right: Latest version. There's not too much to explain about this one that isn't readily obvious from the screenshots above. The arrival cards for navigation have been updated to look a bit prettier. The destination title is now centered with a colored icon above it and line items for the trip duration, distance, and speed have been compiled into a single row with recognizable icons immediately below the street view picture. Small tweaks, to be sure, but they look much better to my eyes. If you look to the round icon with a colored background and the phrase directly below it (it says "pit stop" in the screenshot above), those will change based on the type of destination. 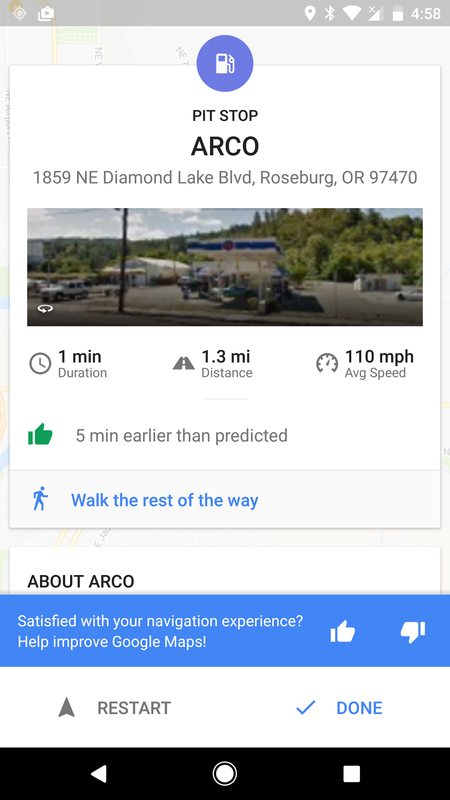 As of v9.45, you'll get specific messages and icons when you navigate to a bar, cafe, gas station, grocery store, hotel, mall, dedicated parking, post office, or a restaurant. 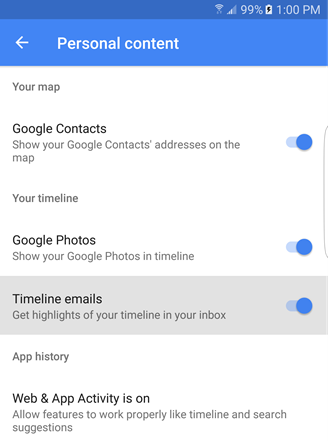 Also new in this version is an option to have Google Maps send highlights of your timeline to your inbox. Since the feature is new and these emails are probably sent several days (or weeks) later, we haven't seen one yet. I assume they will include places you've been and maybe the pictures you've taken while there. There might even be some encouragement to leave ratings and reviews, which the Maps team has been driving at pretty hard lately. The toggle for timeline emails is enabled by default, so if you're not keen on getting these emails sent to your inbox, you may want to opt out now. It can be found at Settings –> Personal content, and it's currently the third toggle from the top. A few months ago, the Maps team launched a new feature to allow users to create custom lists of places. At the time, only Local Guides at level 4 or above were able to use it, but access was granted to everybody following a short test phase. The fairly obvious next step was to allow users to not only use the lists in their own way, but to also share them for others. Considerable evidence came in the latest update that confirms this is in the works. Sharing a list of places from Google Maps appears to work much like sharing a picture album from Google Photos. At least there are quite a few similarities. To begin with, when users decide to share a list, they will get a simple URL that can be distributed through any number of services. Lists can be marked as private for your own personal use, shared so other people can only find the list if they have the link, or public so the list will show up on your Google profile and possibly even in search results. Only personal Gmail accounts will be able to share a list. (Sorry, Google Apps users). List creators can switch their own lists to private at any time, which will give future viewers a message that the list has either been deleted or is no longer being shared. Users will also be able to follow lists that they find interesting and set them to show on their own maps for convenient viewing. There could be a lot of really interesting ways to put shared lists to use, especially since they can be updated after the fact. People could easily mark restaurants that offer certain types of menus, good spots for photography, or stores with great sales. The only thing that seems to be missing is a way to make edits or propose changes to a list owned by another user. I'm not sure this is really necessary, but I can imagine scenarios where it might be useful. I'm a little skeptical about this one, I think it may just be promo text for an existing feature. Nevertheless, there's new text for something called "Smart Drive" that is described as real-time traffic info without turn-by-turn directions. 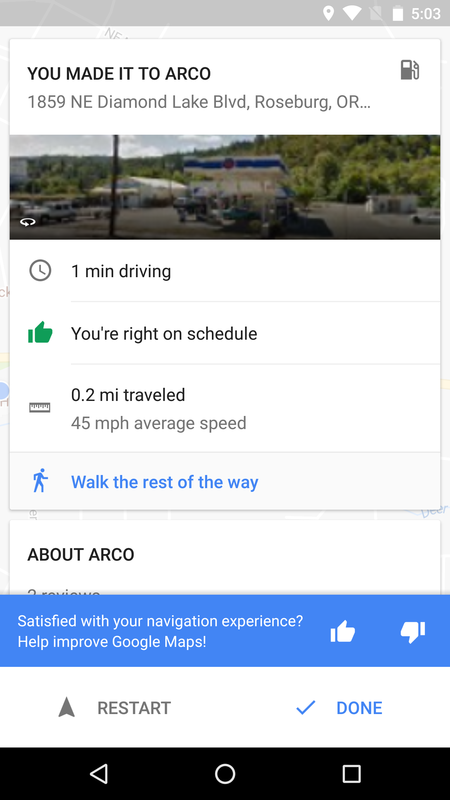 To me this sounds quite a bit like Driving mode, which tries to do basically the same thing while guessing where the driver is going based on location history. A possibility is that this will be a simple dialog that pops up in certain situations, like driving through the same streets every day or launching navigation mode and ignoring the directions. Its only purpose may be to guide users to Driving Mode if they're not already aware of it. Even if this is an entirely new mode, the text certainly leads me to think it will still closely resemble Driving Mode, but perhaps with some variations.